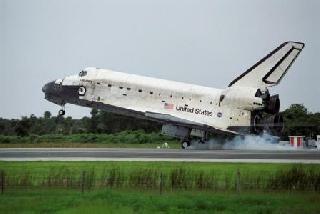 CAPE CANAVERAL, USA (AFP): The end of the US space shuttle programme brings the start of a new chapter for the remaining orbiters, which will soon take up residence as museum pieces in Florida, Virginia, California and New York. Discovery, the oldest space shuttle of the fleet, will land at the Steven F. Udvar Hazy Center, a branch of the Smithsonian Institution's National Air and Space museum in Virginia, NASA announced in April. Atlantis, the final shuttle to fly in space, will make its permanent home at Florida's Kennedy Space Center, host of repeated shuttle launches in the past three decades. Endeavour will come home to roost at the California Science Center in Los Angeles. The prototype Enterprise, which never actually flew in space, will be sent to New York for display on a US aircraft carrier docked off Manhattan, the USS Intrepid Sea, Air & Space Museum. "Each shuttle has stories to be told, history to be shared," said NASA chief Charles Bolden when the designations were first announced earlier this year. "They won't stop inspiring and they won't stop being a part of the fabric of America." The question of where the shuttles would be displayed prompted a flurry of speculation, as curators and lawmakers lobbied for the surge in tourists eager for an up-close look at the journeyed spacecraft. NASA's hefty USD 28 million price tag did little to dampen excitement and competition among nearly two dozen potential tourist spots and museums clamoring to house a piece of space history. 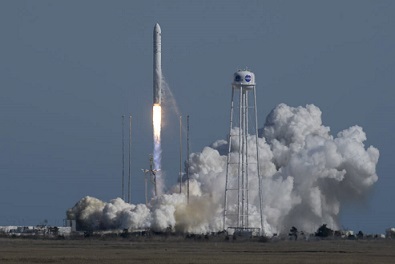 Those who missed out, including Texas, the home of Johnson Space Center and NASA's mission control, were vocal in their disappointment. "Houston has played a critical role throughout the life of the space shuttle, but it is clear political favors trumped common sense and fairness in the selection of the final locations for the orbiter fleet," said Senator John Cornyn of Texas.